Overcoming nicotine addiction often requires repeated provider interventions and multiple patient attempts. The use of FDA-approved medications helps reduce withdrawal symptoms and increases your patients’ smoking cessation success. Evidence shows combining long-acting + short-acting nicotine replacement therapy (NRT) can more than triple long-term quit rates. 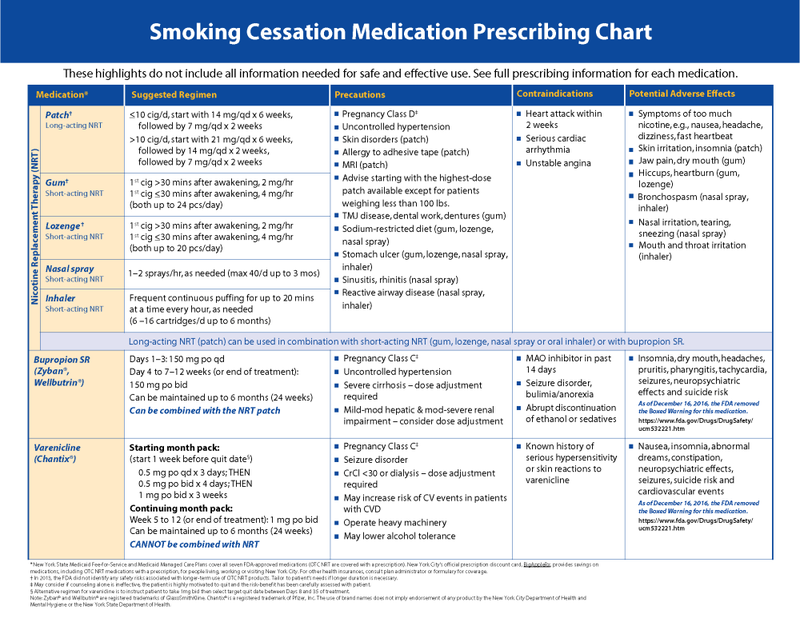 NYS Medicaid covers evidence-based smoking cessation treatment, including all seven FDA-approved medications when prescribed. Private health insurance and Medicare plans vary. 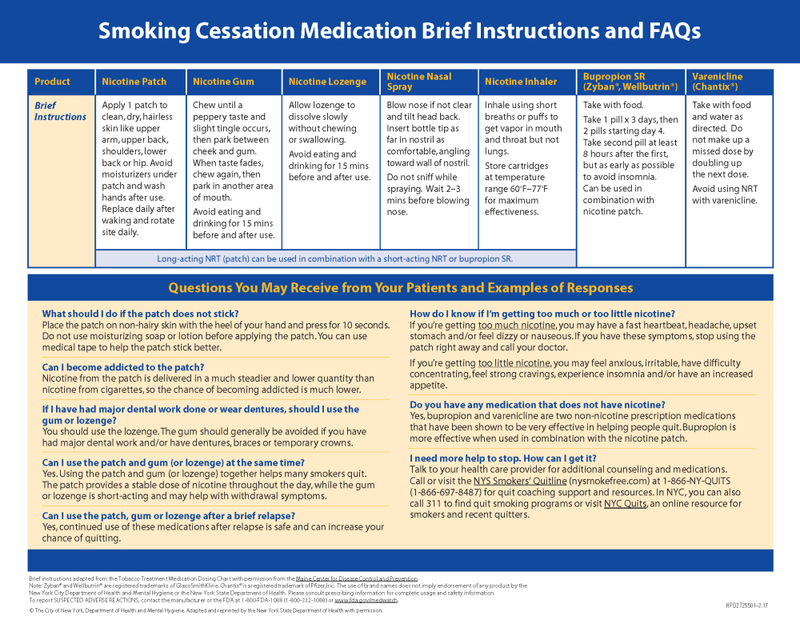 Cessation counseling and medication are effective when used by themselves for treating tobacco dependence. However, the combination of counseling and medication is more effective than either alone. Not all smokers can quit with single-drug therapy. Evidence exists that combination pharmacotherapy increases long-term abstinence rates relative to placebo treatments. Note: Varenicline should not be combined with any other smoking cessation medication. may be particularly effective in suppressing tobacco withdrawal symptoms and especially useful for highly dependent smokers or those with a history of severe withdrawal. Monitored treatment with bupropion and an NRT patch is more effective in increasing long-term cessation abstinence than either medication alone. removed prior authorization for prescribing cessation medication (except for brand-name products when generics are available). evaluated varenicline and bupropion and found the benefits outweigh the risks of using them for most people. As a result, FDA approved the removal of the boxed warning about potential neuropsychiatric side effects from the drug labels of both Chantix and Zyban when used for smoking cessation.